On Tuesday night, March 20th, around 8:30 p.m. two masked gunmen entered the home of villager Bill Tillett and held him up at gun point. The two demanded money, ransacked his home and robbed him of his gun, cell phone, and the keys to his home and tied him up in his bathroom. They reportedly rode off over the Crooked Tree Lagoon with $10,000.00 in cash. Mr. Tillett believed that the strangers were tipped off by a villager about the sale of some cattle he sold the day before. Several hours after, the police arrived from Ladyville Village, but the criminals were nowhere to be found. It is important to note that Crooked Tree Village, one of the largest villages in the Belize District, does not have a functioning police station or an officer assigned to the village. The Ladyville Village Police, which is about 23 miles away, is now assigned to manage Crooked Tree Village. In May of 2011 I personally contacted Mr. Doug Singh, the then Minister of Police and Public Safety. Two meetings were set up at his office in Belize City, but Singh never showed up for these appointments. Mr. Singh later sent me an e-mail promising to go to Crooked Tree Village to hold community policing meetings and would work with villagers on establishing a new police station for Crooked Tree Village. Needless to say, the villagers are still waiting for Mr. Singh. My goodness...I can only imagine the trauma Mr. Tillett is going through after that incident having myself been robbed at gunpoint. I still have nightmares after almost two years. Sadly Belize is no longer the safe haven we once used to boast about. Oh Linda, the village is getting out of hand. The hoodlems are getting brave. I hope that our government will build back a police station and put a policeman back in the village. We need all the villagers to come together and demand some sort of enforcement for the safety of our people. I am very angry about what happened to my cousin. People from Crooked Tree, this could happen to any one of you. It is time to demand that the government rebuild the police station and provide the village with at least 1 resident police officer. It is a shame that such a large, popular village should be left unprotected. When I was growing up in CT we always had a resident police officer. Please stand up for your rights. I am sorry to hear of such of thing in Crooked Tree. I hope Bill changes his mind. The state are far more dangerous. Wow!! What is my beautiful village coming to? This is really sad!! Crime down here on the peninsula is completly out of control.It's beginning to seem like Belize City. 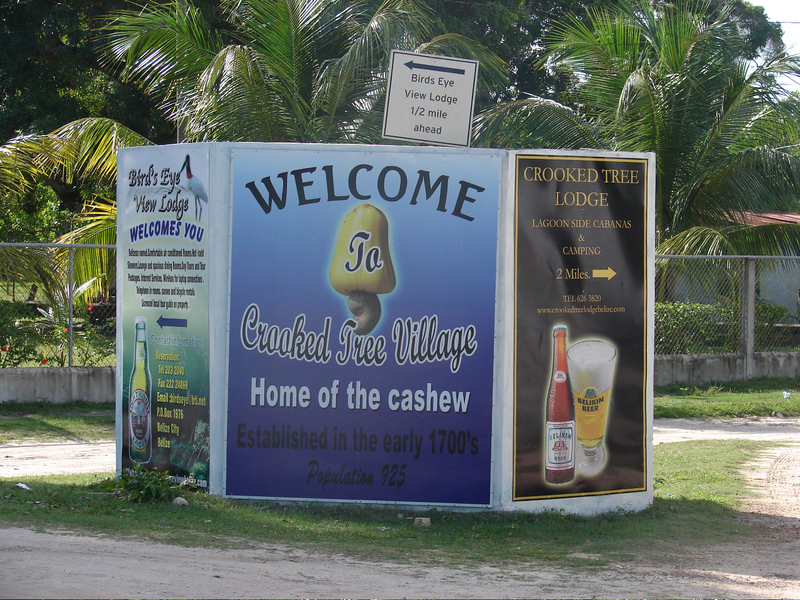 The criminal activity in Belize has now reached the lovely village of Crooked Tree. "Clear the Land" Castro is the Representative for the Village. What is he doing about having at least one police officer stationed in the village. These people get elected on promises, then once elected they look after their bottom line. Mr. Castro please take care of the villages in your constituency, before some villager gets killed. Don;t clear the land protect the people.